Okay, they're not exactly wildlife, but they are wonderful to see up close! A seal who pops up for his daily snack, the Irish wolfhounds that roam a castle’s grounds, and a friendly dolphin who has made his home in a quaint Kerry village… Say hello to five of Ireland’s wild and wonderful residents. A true star of the seas, Fungie, the wild bottlenose dolphin, has been delighting tourists and locals alike since 1983 when he first appeared in Dingle harbour, County Kerry. Dingle Dolphin Boat Tours provides trips to catch a glimpse of Fungie leaping out of the waves – sightings are so regular that you won’t be charged if he doesn't show! On shore, you’ll even find a statue of our flippered friend who has made his home along the Wild Atlantic Way. Just beyond the bustling streets of Dublin city lies a lush, green oasis. Beloved by the city’s inhabitants, Phoenix Park may be home to Dublin Zoo, but it's the wild herd of fallow deer that will capture your attention should you stroll by. The deer were introduced to the park in the 17th century, and the present-day herd is descended from those who were once hunted for food. Hire a bike, go for a stroll, or simply rest beneath the shade of the park's ancient trees. 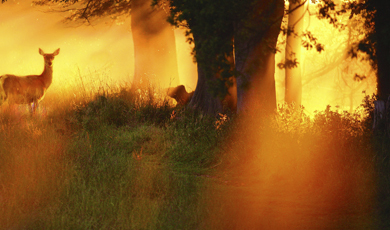 Today, nature lovers and deer enjoy this 350-year-old park side by side, with 200 adorable fawns born each year. Hop on the ferry to Rathlin Island for Northern Ireland’s largest seabird colony. 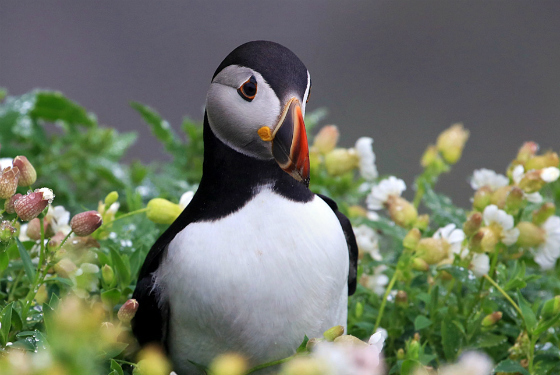 The Rathlin West Light Seabird Centre reveals all about breeding season, which starts in April, when puffins, razorbills and guillemots flock to the island, circling the skies and creating a cacophony of bird song. It's the puffins, though, that stand out from the crowd. These beautiful creatures mate for life – but only meet with their significant other for breeding season. 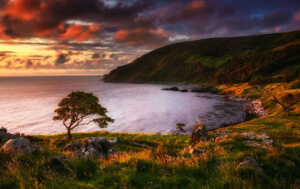 So, you could say Rathlin Island is the ultimate romantic getaway! You’ll also see Ireland’s only upside down lighthouse here – its glowing red light glimmering out onto the wild waves below. Why did the seal cross the road? To get to the fish shop on the other side! Well, that’s the case for Sammy the grey seal, a local favourite and viral sensation thanks to his daily trips to the quays in Wicklow town. Local fishmonger and restaurateur, Alan Hegarty, first handed a snack to Sammy in 2012, and the curious seal has been returning ever since. Each summer, Wicklow Seafood Festival marks the mammal’s birthday. And to catch a glimpse of him, Sammy is known to time his meals, ambling on shore at 9am, 1pm and 4pm – stopping people (and traffic) in their track! Synonymous with Celtic Ireland's legends and folklore, two Irish wolfhounds have recently been introduced to Bunratty Castle & Folk Park in County Clare. And, with a little help from the public, these gentle giants were named Meabh (Mayve) and Saoirse (Seer-sha). The wolfhound's fearsome loyalty is well documented, especially in the tale of how the brave warrior Cú Chulainn got his name. As the most complete ancient fortress in Ireland, visitors can meet the pair in Bunratty while experiencing 19th century life in the 'living village'. Our animals are wild but not deadly! 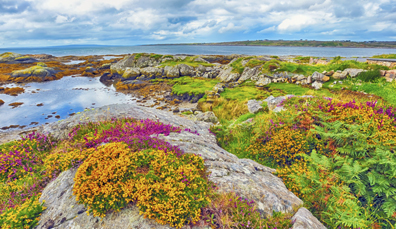 Get ready to embark on a safe safari around Ireland and don’t forget your camera!